Seeker, LLC, a fishing rod manufacturer and components distributor, is proud to announce that it will relocate its operations to one building, located in Oxnard, California. The rod building company will become the sole tenant of the headquarters facility on June 1, 2014. Seeker’s new address is 900 Graves Avenue, Oxnard, CA 93030 approximately 32 miles west of Los Angeles. Located on the ocean side of the freeway, just off the Rice Avenue exit from Highway 101, the new location has easy access to the Channel Islands from the nearby harbors. The Oxnard location replaces three separate offices, totaling less than 7,500 square feet, which Seeker had occupied in Long Beach. “Seeker is excited to relocate our headquarters to Oxnard,” states Seeker CEO Chris Crivier. “From the location near productive fishing grounds, to easy access to the nearby Highway 101, the new building puts us in a strategic area for product delivery and promotion. We are renovating and remodeling the building to accommodate the new and existing equipment to create more lean manufacturing processes. 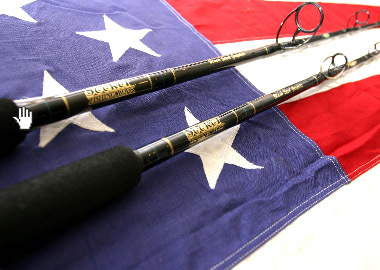 Seeker’s full line of finished fishing rods allow customers to choose the perfect rod for their fishing style and targeted species. 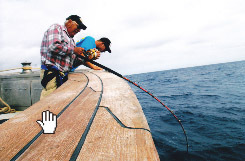 From giant Atlantic Bluefin to Brook Trout in the streams, Seeker has a rod for every fisherman. The components division allows custom rod builders to choose from hundreds of blanks made in the USA as well as thousands of components from grips to guides and epoxy. Seeker’s new headquarters facility is an exciting result of the growth and success the company has experienced. Founded in Long Beach in 1988, Seeker has weathered the storms in the fishing industry as well as economic ups and downs, while continuing to grow its product line. With its new location and continued growth, Seeker looks forward to becoming an active and involved member of the Oxnard business community.